Stock status is current as of 4/20/2019 10:35 PMET. 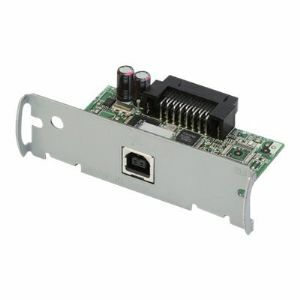 The innovative USB Connect-It module offers all the benefits of USB technology to Epson's POS printers. Harnessing this technology, Epson can increase port capacity to 127 peripheral devices connected to a single USB controller, increase communication speed to 12 Mbps and add the ability to hot plug the printer to the host.